The Chevrolet carmaker, General Motors Group, was reputed as a pioneer with new ideas. 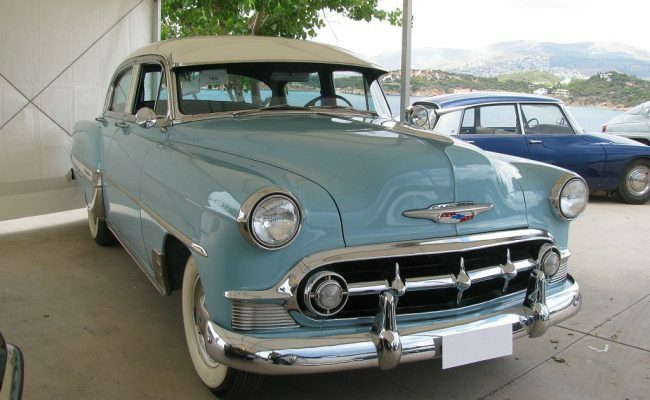 In 1953 he renamed the production models and gave Bel Air the best line. In the same year she advertised her new models as "Totally New For Beyond" because of the new design of the frame and the front and rear of the car. 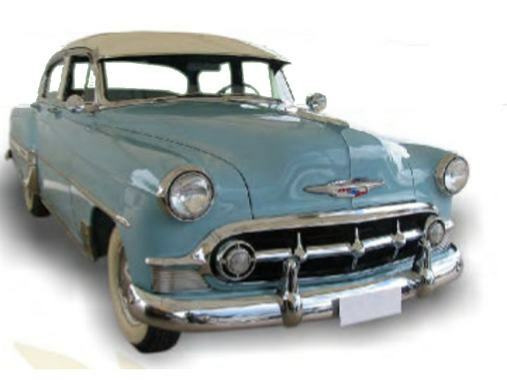 Unlike Ford and Plymouth, Chevrolet had a "stylized and clean style". He excelled not only in improvements to the exterior of the car but also in the luxury he had built into his interior. 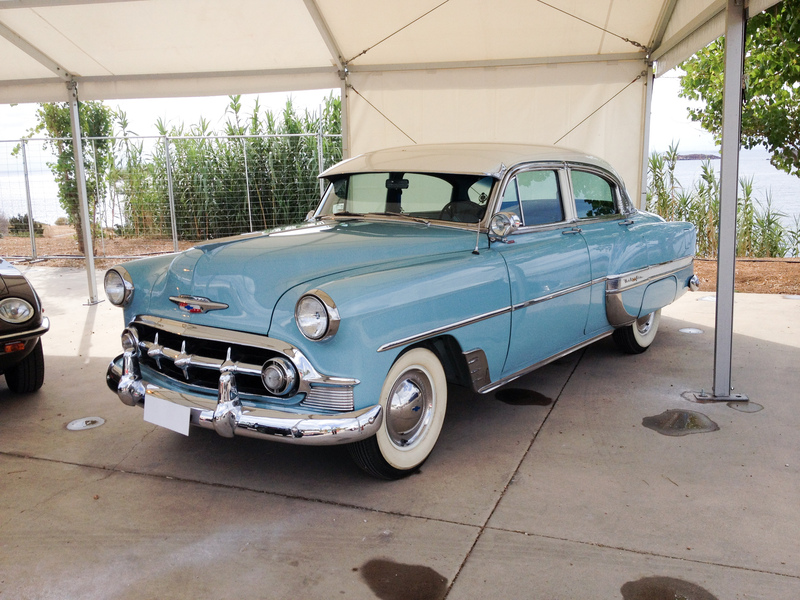 Bel Air features a wide chrome overlay strip at the rear of the bulging wing to the bumper. The lower part of the dashboard is long overlaid with chrome, as well as the chrome horn in the luxury steering wheel. Also a large part of the interior of the car is carpeted, the upholstery of the seats, have elaborate design and construction and are based on the color. The car has a top speed of 160 km, the engine is six-cylinder monoblock, with 6 volt battery and the cabin is 5-seater, 4-door. 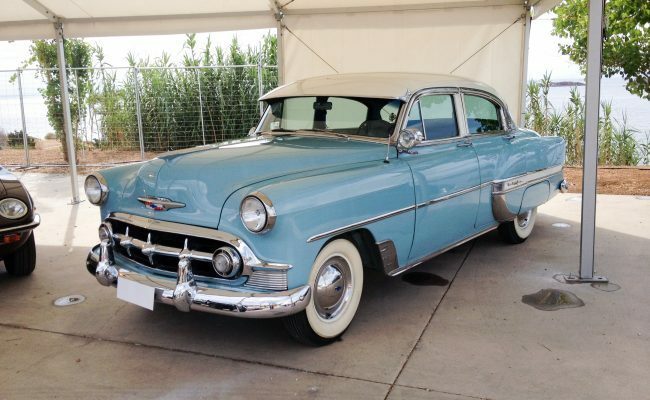 Later, in 1954 the Company built a new series with a cabrio version. 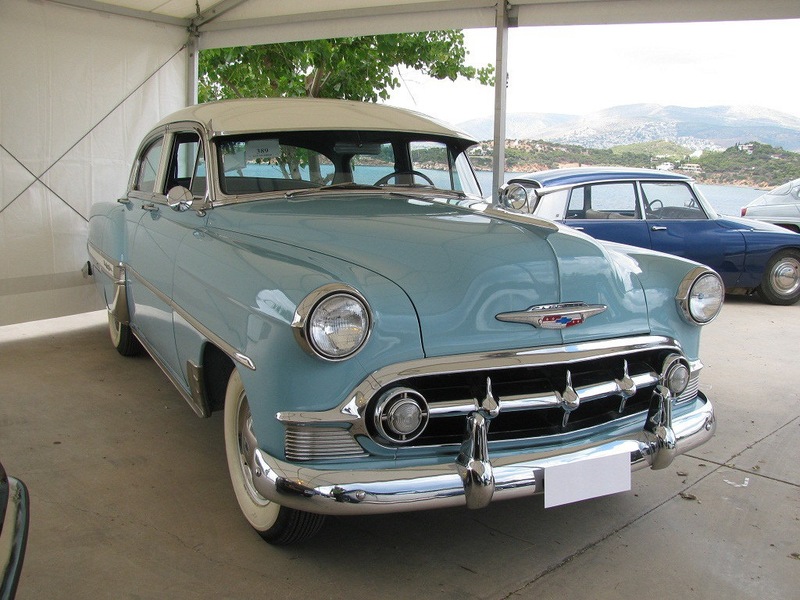 The present car belonged to the big ship owner and "father of the Greek cruise" Mr. Chandri.